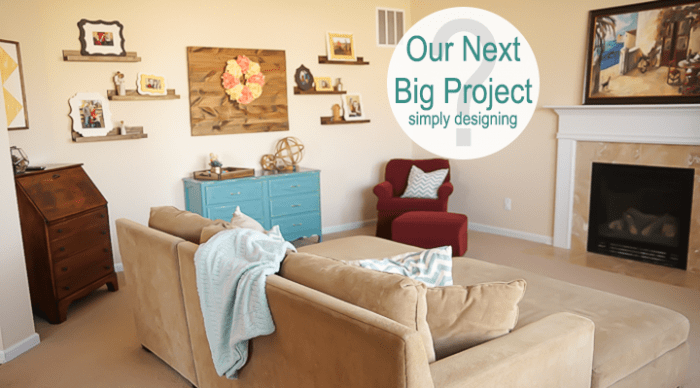 As you know, we have been slowly working on our home to update and upgrade it and today I am excited to finally reveal our next big project! One area we have spent significant time and effort on are our floors. When we moved into our home, our floors were builder-grade plush carpet and linoleum. They were fine, but not ideal. After a year of living in our home, our carpet on our stairs had already worn to the point of being slippery and dangerous. That led to our decision to rip up the carpets on our stairs and refinish the wood stairs. Shortly after that, we realized that we would really like to replace our linoleum flooring. And so my husband surprised me while I was out of town by beginning to replace our linoleum flooring with a beautiful wood laminate flooring! (Isn’t my husband the best!?) Then last year we took the plunge to tile all of our bathroom floors and our laundry room floors. The results have been a stunning transformation. As of today, all our floors were beautiful…except for our builder-grade, worn, used-to-be-plush, plush carpets. Those are just…blah. So today I am thrilled to announce my partnership with Mohawk to help us replace our carpeting! Wahoo! I have loved Mohawk carpets for as long as I can remember. When I worked as an interior designer in the commercial field, I regularly specified Mohawk commercial carpets and the results were always amazing. They make great carpet and so I am completely ecstatic to be able to put new beautiful, high quality carpets in my home. Thank you Mohawk! Our current carpets are not-so plush anymore. They used to be soft and plush but now they are matted and worn and really do not look very nice at all. We don’t have any major stains, they just look…blah. Choosing new carpets this year is an absolutely thrilling possibility! We are looking for new carpeting in our family room, piano room and our bedrooms. 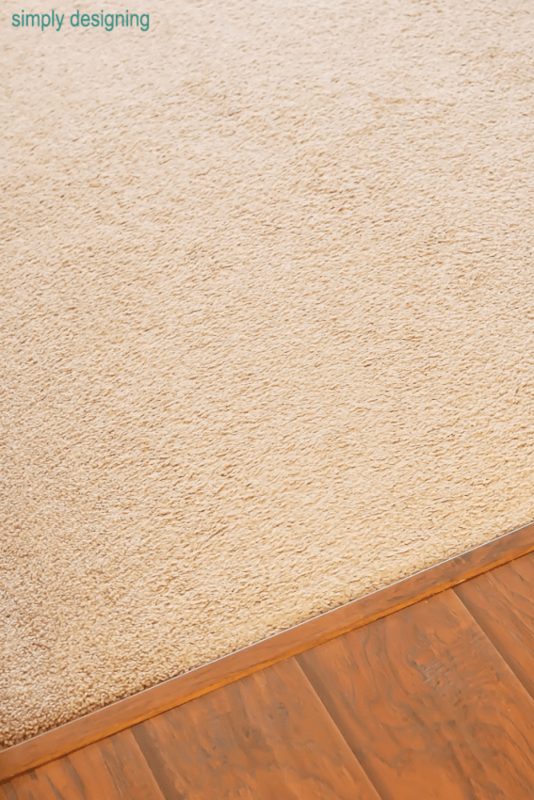 We are looking for soft carpeting that won’t look matted down and worn quickly. 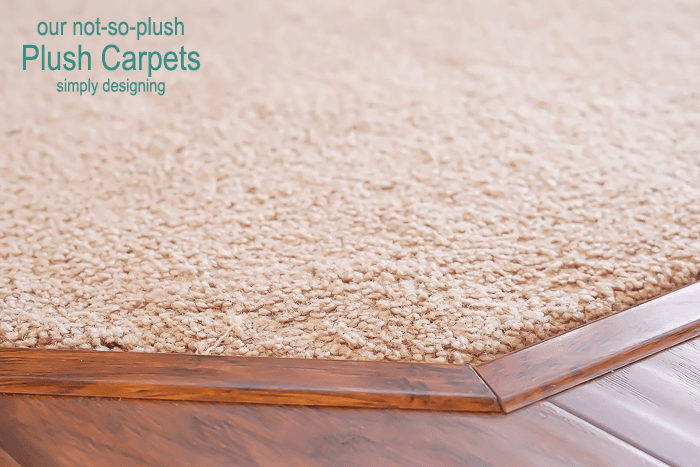 Choosing a carpet that is long lasting is important to us but I would also love to find a carpet that is very soft. And with two children, stain resistance is a must! And of course, they need to match. I am excited to have the opportunity to shop for my own new Mohawk carpeting really soon! So stay tuned because I am going to share our entire process with you in order to help you out next time you are looking to replace flooring! To read this blog post on Simply Designing, please visit the site here.